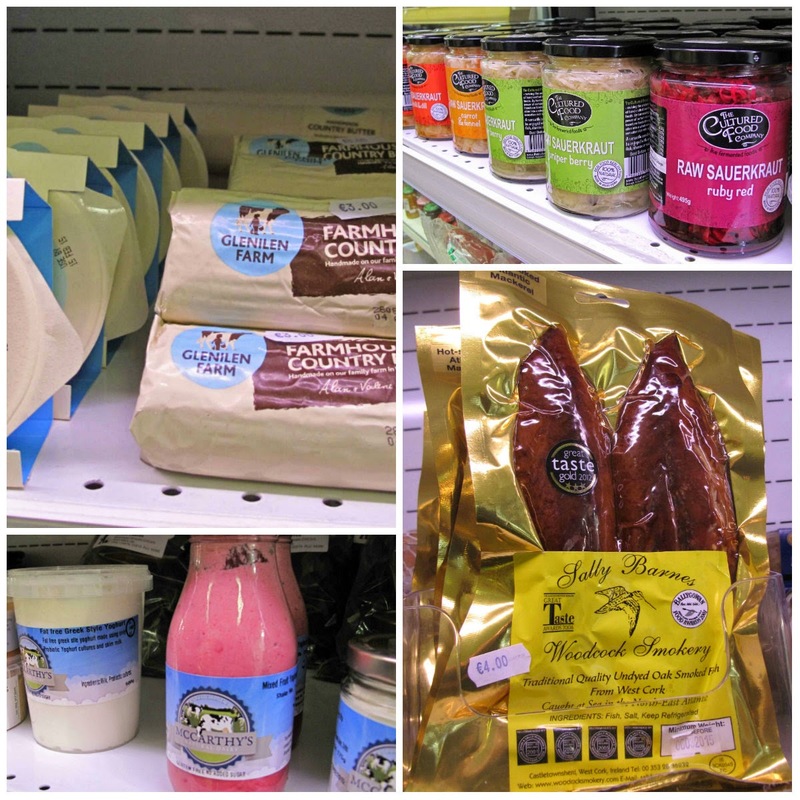 Fresh from West Cork is back in town and you’ll find it installed in Bradley’s, North Main Street. Walter, familiar to many of you from his stint last year in the English Market, fronts the operation and is as enthusiastic as ever. And why wouldn't he be? 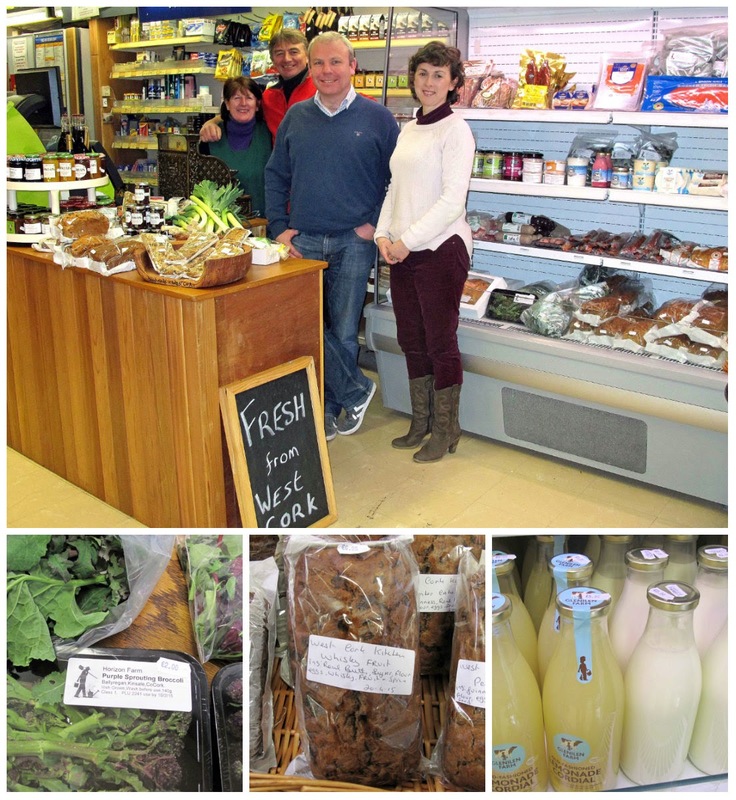 He has some great produce in Bradley's; all the familiar names are there including Irish Atlantic Sea Salt, Rosscarbery Recipes, Gubbeen, Ummera, Glenilen, Sally Barnes (he especially recommends her smoked mackerel, “a big seller”), West Cork Pies, Culture Foods (the Sauerkraut people, who are now exporting) and more. June Kingston’s Soda Wheaten loaf is a best seller and there are tasty apple tarts from the Walshes of Caheragh (near Drimoleague). And don't forget the Loughbeg Tea Brack and be sure to get some Glenilen clotted cream to go with that! Then you have yogurts and Lemon Labneh from McCarthy’s Dairy not to mention the many fish products from Union Hall including Smoked Mackerel Paté and Smoked Salmon Paté. No shortage of honey and jam. 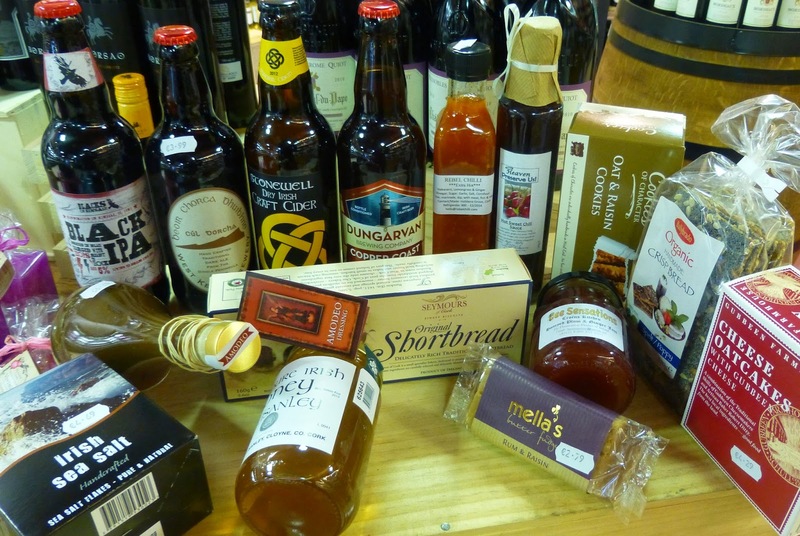 The honey comes from Noel and Patricia Love of Knockeen (Skibbereen) while jams are supplied by Kathleen McCarthy of Drimoleague and Eithne McCarthy from Skibbereen. 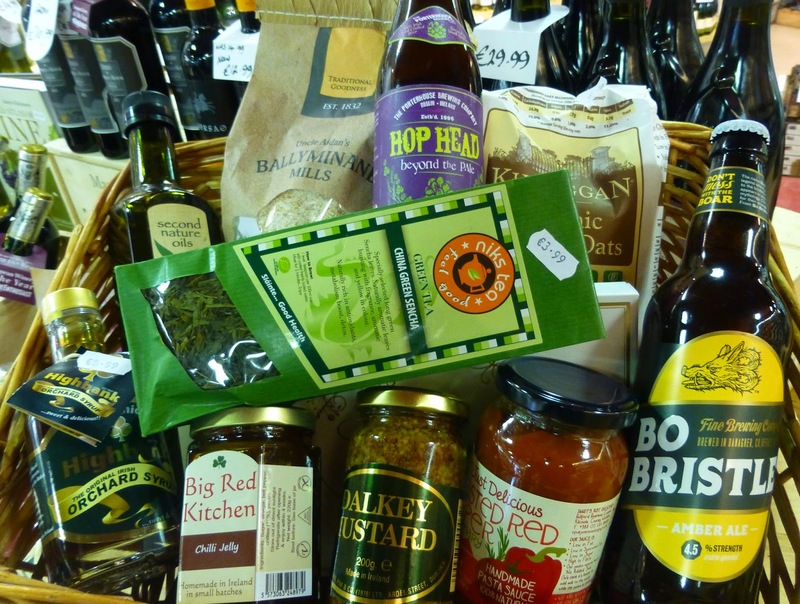 And watch out too for the Loughbeg chutneys, quite a few but the star is the Yellow Zucchini Relish which was adored by a bunch of “nine Michelin chefs from London when they sampled it at the English Market last year”. And the good news is that you can get these six days a week, from 8.00am to 9.30pm! And more good news. If you like your vegetables fresh (and who doesn't? ), Colm O’Regan of Horizon Farms will be making three deliveries a week to North Main Street. And from next Friday, you'll be able to get raw pressed juice here: carrot, beetroot and a vegetable and fruit blend! “And the week after that, we'll have mini-meals,” he said. I looked puzzled! “Especially for toddlers,” he clarified. So there you are. 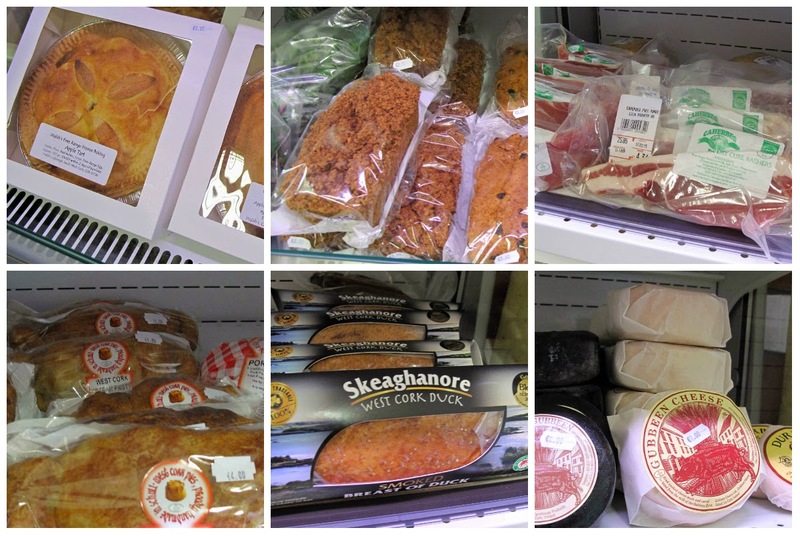 Walter and Fresh from West Cork will feed you all, big and small. 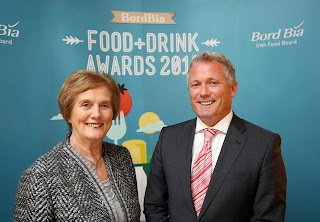 Riverview Eggs, Glenmar Shellfish, Irish Atlantic Salt and Irish Distillers are the four Cork based food and drink companies who have been shortlisted in Bord Bia’s Food and Drink Awards (2013). The awars recognise excellence in export development; branding; innovation; sustainability; entrepreneurship, success on the domestic market and use of consumer research. · Irish Distillers’ Jameson Irish Whiskey, with an expanding and renowned distillery in Midleton, has been shortlisted for two awards; the Export Award and the Innovation Award. Jameson reached the milestone of 4 million cases sold globally in 2012 and is the No. 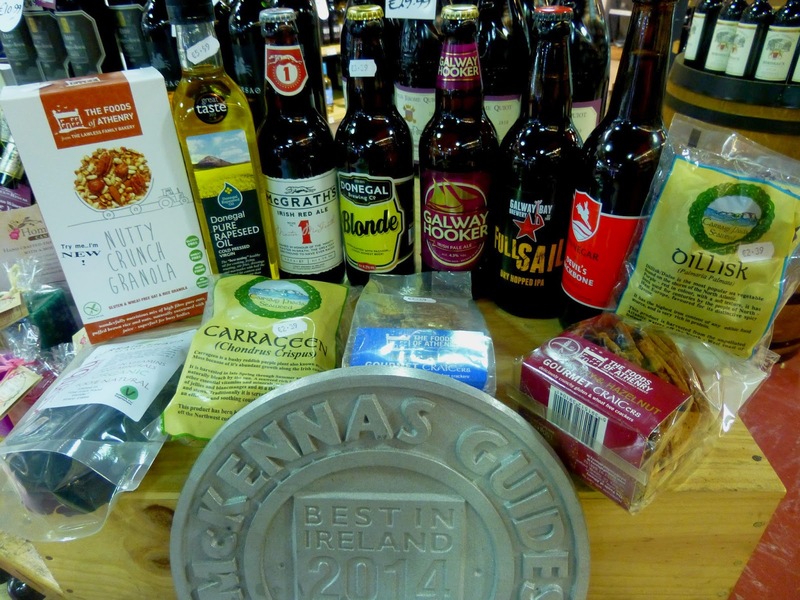 1 Irish whiskey in the world sold in 108 markets. In terms of innovation, the Yellow Spot 12 Year Old, within the Single Pot Still Whiskeys of the Midleton range, is unique to Ireland and to the Midleton Distillery in particular. The whiskey is produced annually in batches of 500 cases, making it a true collectors item and is available in limited quantities in Ireland, France, the UK and Germany. · Alongside Jameson, Union Hall’s Glenmar Shellfish have also been shortlisted for the Export Award. 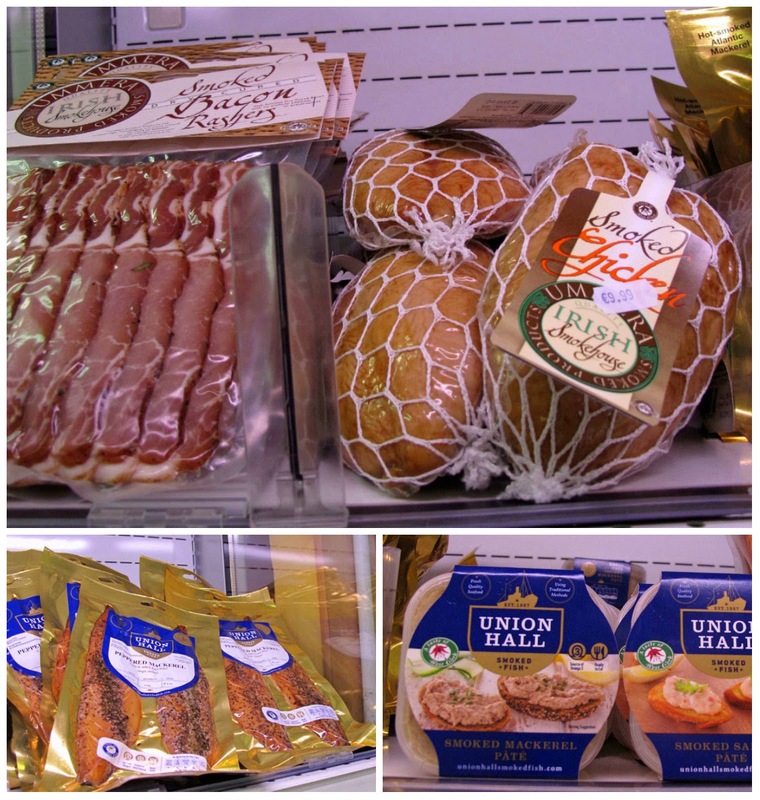 The company is currently exporting 550 tons to markets such as China, Hong Kong, Korea, Italy, Spain, France and Croatia. 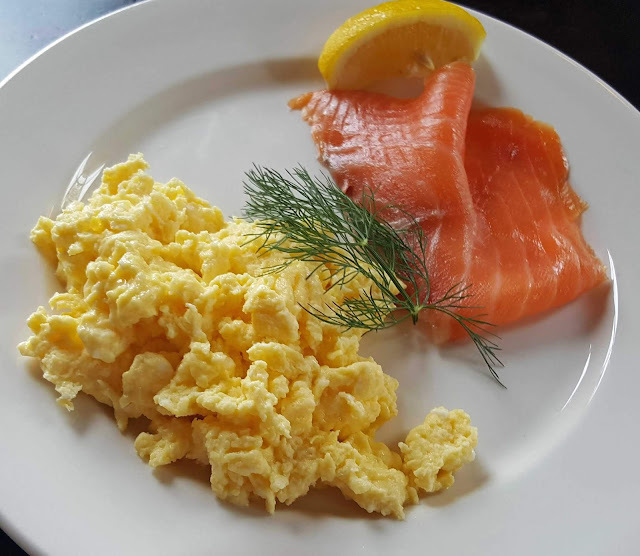 · Watergrasshill based, Riverview Eggs, have been shortlisted for the Consumer Insight Award for their use of consumer research to develop the Amazing Egg brand. Faced with the challenge of innovating in a competitive and commoditized category, the company invested in extensive category research from which they use the insights to inform their strategy. The result of which is that the Riverview brand is now the second largest brand by market share in the Irish egg market (Kantar, July 2013). 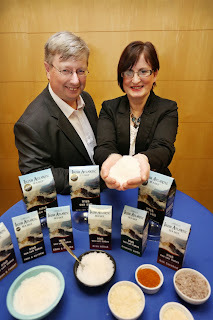 · Irish Atlantic Sea Salt, located on the Beara Peninsula, has been shortlisted for the Entrepreneurial Award. The O'Neill family developed this range of organic, gourmet Irish sea salt products, using the highest quality waters surrounding the Peninsula to create the only Irish-made white sea salt products available. This year’s awards will be presented at Bord Bia’s Annual Brand Forum end of year event taking place in the Royal Hospital Kilmainham, Dublin on Thursday, 14th November. Paul Duffy, Chairman and CEO of The Absolut Company, will be the keynote speaker on the night and the Minister for Agriculture, Food and the Marine, Simon Coveney T.D. will present the awards. RTE presenter Keelin Shanley will be MC for the evening.